Now a days, TVs are coming with motion control settings and ACs are coming up with sensors that control the air flow direction based on human presence. But we are using still old fashioned switches to power ON/OFF devices. We have been using these wall mounted toggle switches for more than a century and this is the right time to upgrade to wireless 3-way control switches. It doesn’t mean that you can power ON/OFF devices using a remote controller but you can install a switch (without wiring) anywhere and control your electronic applications from that switch. Everything in our life is becoming automated. To simplify our life manufactures came up with this idea and it was received well. 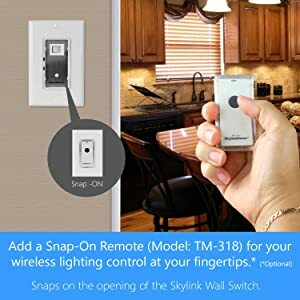 Several manufacturers are coming up with their own version of remote controller switches but it is better to prefer these switches from a reputed company as a small fault in design and/or installation leads to disastrous consequences. Skylinkhome is one such company whose main motto is to make our life better by simplifying the operation of things we use in our daily life. This advanced 3 way switch set acts as additional wiring between two switches even though there is no physical wiring. The single switch can be installed (temporarily or permanently) anywhere you want. The shipping includes a transmitter switch and the receiver which should be connected to the regular switch board. The transmitter switch can be installed anywhere within a distance of 500feet from the receiver and you double sided tape f you frequently wants to change switch location. There is no need to connect the neutral wire and you should read the instructions present in the manual carefully. Sleek Design: The receiver unit can be installed in the regular switch board and it comes in modern designs. These switch sockets are designed with care and the build quality is really strong. These advanced switches won’t weigh much when compared to regular switches and they look similar to regular switches. Different covers: Several switch covers are available in different designs and in different colors. Buyers have the flexibility to choose the switch covers that suits their interior. Very few manufacturers are offering such wide range of options. Easy installation: There is no need of a dedicated electrician to install these advanced switches and anyone can do it on their own. Just follow the instructions given in the manual and the switches will be ready. Don’t do anything silly while installing as it can lead to unexpected results. 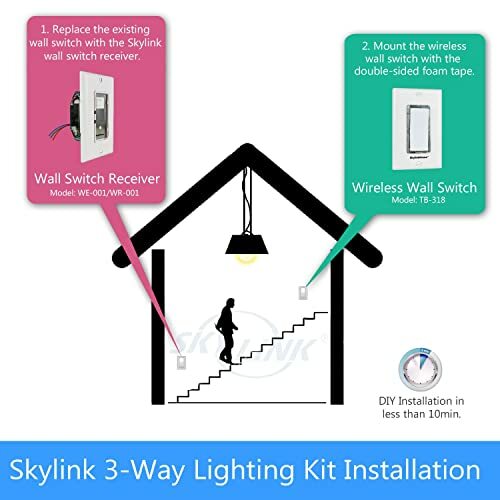 There are even videos released by required by Skylinkhome and you can watch them if you are facing any troubles in installation. One can install switches 500feet away from the receiver. If one follows the manual, installation is really simple. Antennas (receiver unit) won’t occupy much space in the switch board. Compatible with regular switch board. Light indication and easy to use. Receiver becomes hot and manufactures could have taken care of it. Not works well in cold temperature and not suitable for all states in the USA. Need to buy decorative switch covers separately. Suitable for plastic switch frames only. 81% of buyers gave top ratings for these switches and the average rating of this product on amazon is 4.2 (maximum being five). Skylinkhome is a highly reputed brand and all their innovative products are highly successful. Though the concept is new these switches are getting huge positive response from buyers. 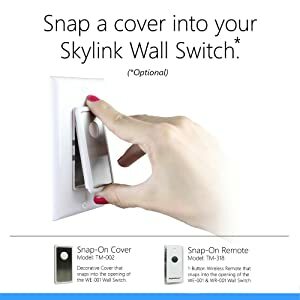 Skylinkhome is making these switches popular by offering next generation switches in attractive designs. It is hard to find this kind of switches from other manufacturers and these are brilliant switches as advertised. Those who want to try technically advanced products in their day to day use can’t find better switches than these. Try these advanced switches once and you will surely like them. If you like don’t forget to recommend these advanced switches to your friends, colleagues and relatives.